Generac's CW10K is an all-in-one lightweight package that delivers the high-flow capacity you need to take on most pumping jobs! Startup is a snap with its custom Easy Prime funnel design, and colour-coded suction and discharge ports; use it to remove standing water from small ponds, water gardens and hot tubs. This unit pumps 30 gallons per minute. 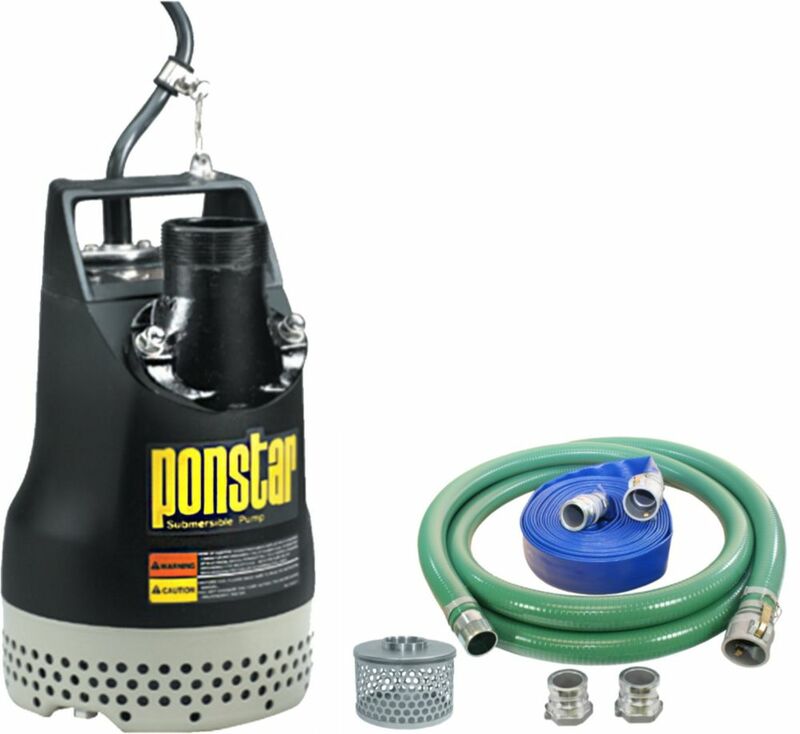 Submersible pump with two inch hose kit Koshin submersible pumps are ideal for water removal in difficult areas such as sewers, basements, crawl spaces and swimming pools. They are designed with a self-cooling system to provide maximum endurance while fully submerged in water, and include a 40 feet power unibody constructed cord to ensure excellent water tightness.